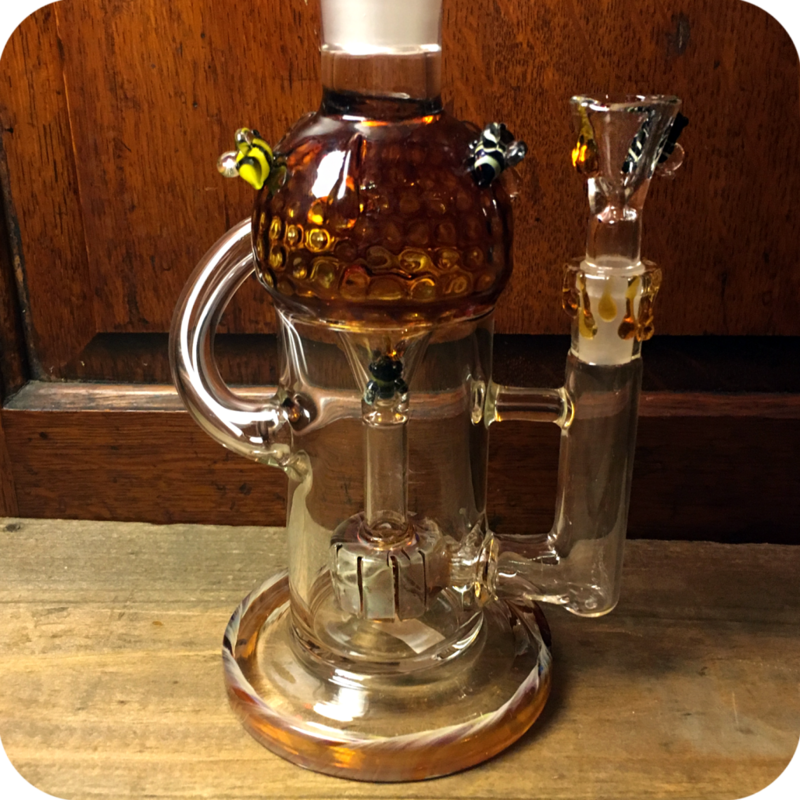 This Two Piece Honey Bee Water Pipe is a seriously heavy duty piece of art! It stands at about a foot tall, and includes a detachable top chamber filled with glycerin. 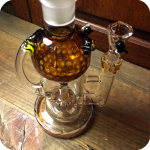 The glycerin chamber is a very interesting feature you do not see too often. The idea is, the user is too leave the chamber in the freezer to cool. The glycerin will allow the chamber to get to very low temperatures without freezing. 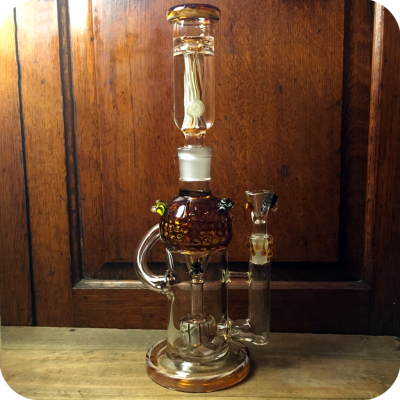 In use, this means the smoke will be immediately filtered through the water at the base of the pipe, just like all water pipes, and then right before it hits your lips it passes through the glycerin chamber. 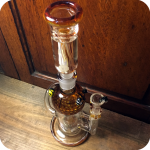 This gives it one final cool down, giving you an extremely smooth yet potent hit every time! The bottom chamber features a diffused down-stem for extra water filtration. To use, simply fill the water pipe with your desired level of water. Pack the bowl with your favorite legal herbs, or smoking tobacco. Then, light the bowl as you inhale slowly. Once you are ready to clear the smoke, pull the bowl out of the pipe and inhale one finale time. It is as easy as that! 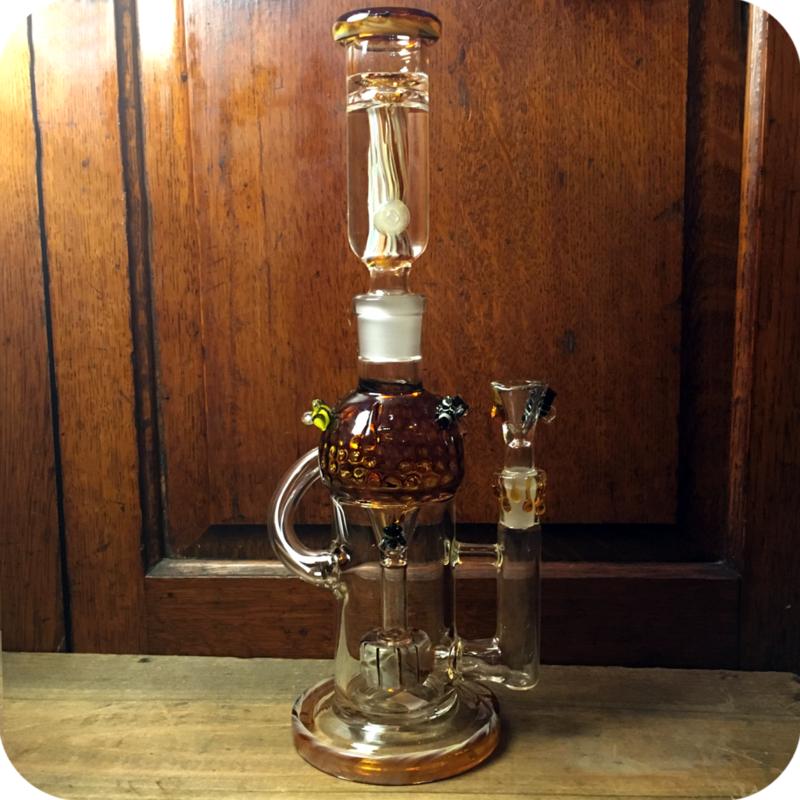 Thanks to the detachable glycerin chamber, this pipe is much easier to clean than most water pipes its size. Grab some Formula 420 cleaner and keep this pipe regularly cleaned. Finally, do not forget to swing by either one of our two Brooklyn store locations to see what else we have to offer! 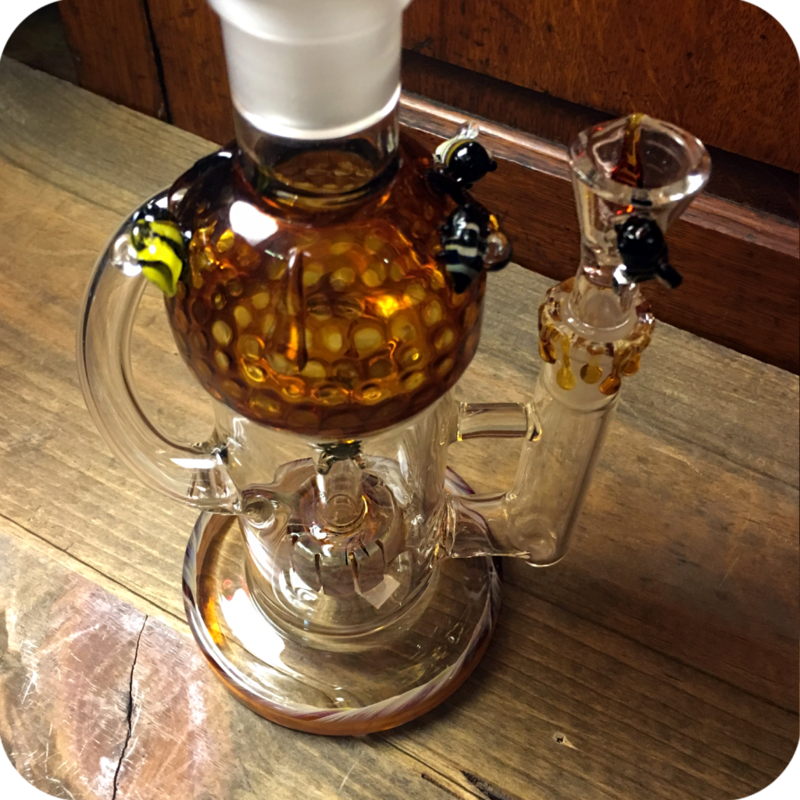 Tags: Honey Bee Pipe, Honey Bee Water Pipe, Two Piece Honey Bee Water Pipe, water pipe.